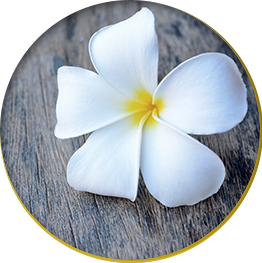 Welcome to Beyond Basics Medical Spa, the first of its kind in the Cayman Islands. The Beyond Basics philosophy is "To Be the Change You Want to See," and this value serves as the foundation for all our services. Laser Treatments (powered by elos technology) at Beyond Basics are the safest and most comfortable solution for effective, predictable and fast treatment of hair, tattoo and birthmark removal. These treatments are also used for skin rejuvenation for various skin imperfections, wrinkle reduction, skin tightening and cellulite treatment - without the knife and with little or no downtime. Botox and Juvederm are offered every day to erase the lines of time and add youthfulness to your appearance. Customized chemical peels combined with the only HydraFacial service on Island offer unparalleled results for sunspots, wrinkles, acne, and dry dull skin. All Beyond Basics advanced aesthetic procedures are FDA-approved, and all skin care is individualized to the specific needs of our clients by our certified technicians, nurses, and medical personnel. Visit our Pro-shop for the highest professional medical grade products such as Obagi and cosmeceuticals such as Image, Repêchage® along with organic skin care and sunscreen products and Revivogen shampoo and conditioners. Please visit us to discuss how we may help you today. All consultations are complimentary. 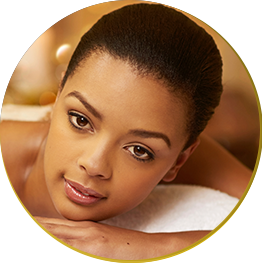 At Beyond Basics Medical Day Spa, our commitment to excellence is reflected by our choice of the Syneron equipment. The science behind their products is powered by elōs, and their medical aesthetic systems are the first and only devices to simultaneously harness the power of bi-polar radio frequency (RF) and optical energy (either laser or light). We choose Syneron because all elōs technology platforms have set new standards in safety and efficacy with minimal or no down-time for the wide range of aesthetic applications that Beyond Basics carries. With elōs there is no downtime! You can return to work immediately following treatment. Beyond Basics, Cayman's Premiere Medical Spa, is well established as the local leaders in the skincare health and beauty enhancement on the island. We partner with professional team players who are passionate, experienced, reliable, warm, has good time management skills, and great work ethics, self motivated and quick learners, and who are ready to soar in his/her career. We are expanding and have ONE (1) available position for an enthusiastic, experienced and/or newly graduated Aesthetician / Laser Technician. We will provide and train you on proven business systems to become the Champion you always wanted to be! You can achieve your Goals and Dreams with our Continuous Education and attractive Compensation Programmes. Remuneration range from $2500 - $3500 per month. If you would like to grow with us then don't delay, respond today. We are accepting resumes through November, 2016. Please include your photo and a brief paragraph on why you believe you are our new Superstar Aesthetician / Laser Technician and email to jobs@beyondbasics.ky TODAY!